What are you doing to help people who are searching for information on your niche find you? Go ahead and comment at the end of this post. In the old days of Search Engine Optimization (SEO) it was all about stuffing your website content pages and meta tags with as many related keywords as you could fit. “Keyword stuffing,” as it is called, is outdated and no longer provides value in the ranking algorithms of major search engines. The practice did not lead to very interesting or beneficial websites, which often lead to higher-bounce rates on sites and a poor search experience for the user, hence the reason major search engines don’t allow the practice. Today, it’s about creating relevant content with keywords relating to your Brand and expertise to draw visitors to your site. From there, you can use the best practices to nurture your leads and convert them to customers or patients. One important thing to keep in mind when trying to improve your SEO rankings is how you are measuring your return on investment. Sure, you can keep throwing money at keyword research and do your best to promote your content, but how do you know if any of it is actually working? Really – that’s what is the most important thing to you. Remember – it’s important that you establish some base metrics in order to have a goal to work toward and to report against. Without knowing where you are, you can’t really determine where you want to go. What percentage of your website comes from organic search? What is your conversion rate of organic search visitors into leads and ultimately customers or patients? As for finding out what’s working for your SEO, analytics from closed-loop marketing (CLM) can help you figure out what search terms are sending the most people to your website. Closed-loop marketing can also help you find out what your potential patients or customers are looking for when they end up on your website. Once your strategy starts to play out and you are having some success in driving traffic to your website, you can enhance your SEO efforts by creating content around some target keywords. 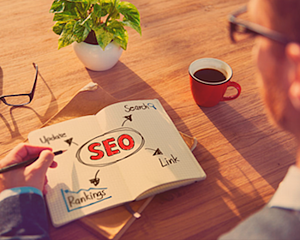 SEO-focused content can be part of the key to generating inbound traffic and generating quality leads. One of the most difficult tasks in marketing has always been getting found. That has been true since the Mad Men era. Back then it was proving the worth of television and newspapers, but today keeping your SEO up to date is such a crucial part of your behind-the-scenes marketing success story. In the work we do for our clients, we are finding far less reliance on paid traditional or digital media, and more success being driven though a strategic mix of Inbound Marketing techniques consistently and constantly driven through an integrated tool like HubSpot Marketing Automation Software. With a intentional Inbound Marketing strategy, you can watch your website traffic grow and increase you conversions of visitors to leads and leads to customers. Have something to add? Chime in below. Tell me what you are doing to drive your site traffic and conversions. Our free eBook, Increasing Your Inbound ROI, 3 Metrics That Matter: Landing Pages, SEO and Blogging, will help you learn how to improve your marketing performance and help you get found online. Although the rules change, effective SEO is a mainstay component of being found online today. Without being found, you may have the best Thought Leadership content to share, and nobody will ever know it. Let's touch base and make what you are doing better. Call me and I will put the Hult Team's experience to work for you. We can connect at 309-673-8191 or jflynn@hultmarketing.com, and together, we can create a better focus on your Brand.